Our Red Club program is perfect for players who are developing their mind, body and skills in preparation to play against the highest competition in their age group. Our Red Club players are focused on learning how to be coached by professional coaches, while playing in a committed team environment with other serious ball players. During the season, our Red Club will have an extra emphasis on team practice and skill development. They participate in 4 Local Tournaments during the season so they can compete against the competition level within their own age group. On non-tournaments weekends, teams will meet with their coaches to work on their skill development and have an open scrimmage against other players. Our Red Club will consist of two 9U (3rd Grade) teams, one 10U (4th Grade) team, two 11U (5th Grade) teams, one 12U (6th Grade) team. For age groups with multiple teams, we will ensure that all teams have an even roster during the first week of the season. We are making some changes to our Spring / Summer Season in 2019. In order to maximize our time on the court with our Red Club team and to not interfere with family vacations, we have decided to move our Spring Summer Season to start in mid-March and end in June. This will allow families to take vacations in July before many schools start in mid-August. For families who may not go on vacation, players can participate in our AAU Elite Hoop Camp which is after the season ends. Please Note: We will have individual player in lieu of your team practices during spring break from Monday, April 1st - Friday, 5th. These trainings will be at the same time as your practices. All costs for training will be built into your package. Team Esface Players will be exposed to curriculum that will help build confidence and mental fortitude on and off the court. Our internal mental coach Keith Jensen is a sports psychology coach that has helped many athletes around the world with their curriculum. Their curriculum enhanced with our focus on “Team Esface Grit” building, will bring your mental game to a new level.. These 90 minute Team Practices will not only be an opportunity to learn offensive and defensive strategies, but will focus on more team skill and concepts. This is the time where players get to implement the skills they acquire at skills clinics into real-game situations. Teams will have 2 practices on weekdays and 1 skill workout on non-tournament weekends. These skill sessions will give your player and opportunity to focus on skill training at least once a week with their coach. Although our Red Club teams are not focused on tournament competition, it is imperative that each player understands the competition in their age group. Each Red Club Team will be playing in 4 local tournaments this season which will allow them to sample the competition at their skill/age level. 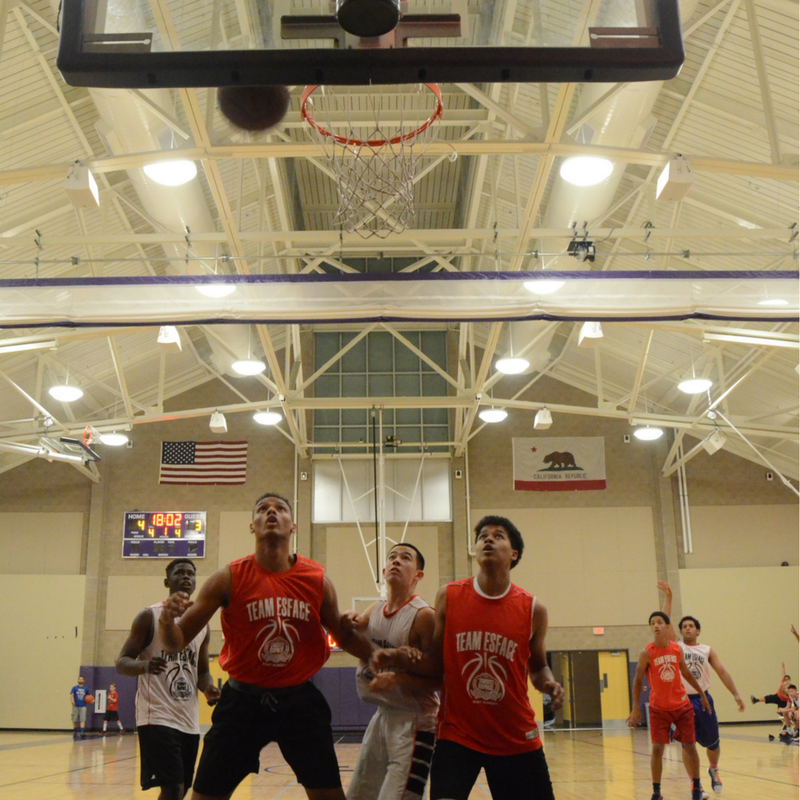 These tournaments are normally played on Saturdays and Sundays and within the Bay Area. Note: This package does not include a jersey (which is required) but DOES INCLUDE a new shooting shirt. Red Club Jerseys will be the Reversible Red/White jerseys. New players must purchase a jersey. EXPECTATIONS REQUIREMENT: By registering for this team package you have agreed to meet all expectations required of being a part of the Red Club Academy.